Thanks for visiting the home of the Jonathan Wyatt Big Band! This is the place where you can check out all the latest news, photos, and music. Jonathan Wyatt has been leading the band for 30 years! Established by the meastro when he was just seventeen years old, the band captures the sound of the big band era. The band has an extensive library including numbers made famous by the bands of Glenn Miller, Duke Ellington and Count Basie, to name a few. More recently, the band's library has grown to include new arrangements by some of the country's leading composers and arrangers. The vocalists who perform with the band enthrall audiences with classic Frank Sinatra, Bobby Darrin, Ella Fitzgerald and Judy Garland numbers. As a band leader Jonathan takes pride in the versatility of the band which has performed at a wide range of venues such as theatres (including a Royal Gala Performance), for National Trust open air events and at private functions. 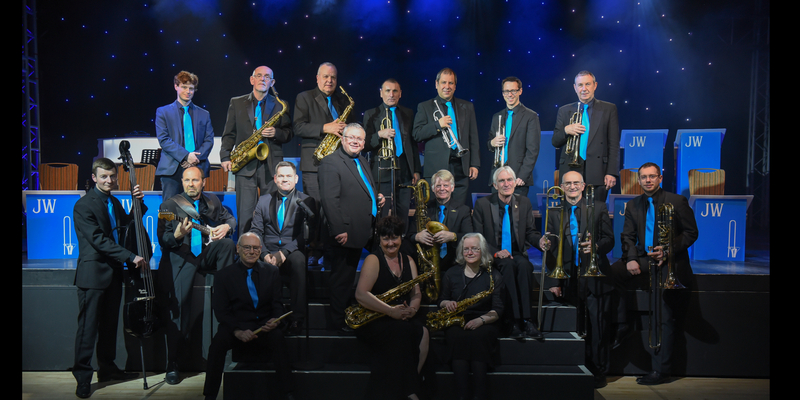 As well as concerts, the band is often booked for dances offering the chance for people to foxtrot, quickstep and jive to the fantastic sound of a live big band. 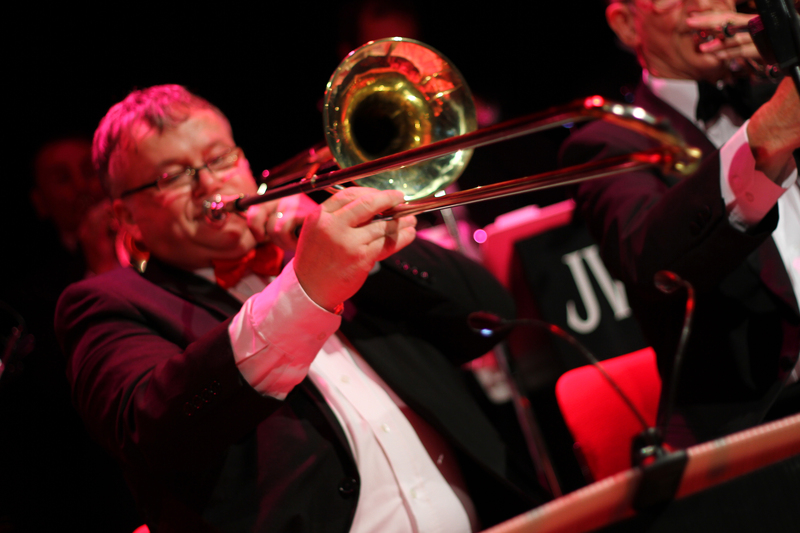 Whether it is the nostalgia of the 1940's or the excitement of big band jazz, the Jonathan Wyatt Big Band will always provide excellent entertainment. Be sure to check out the different pages on our site and sign up for the newsletter before you leave. Thanks! 164,656 views since Sunday, 05 October 2008.